The first two squares for the blankets for the Crochet For Kidney Research UK event arrived yesterday! 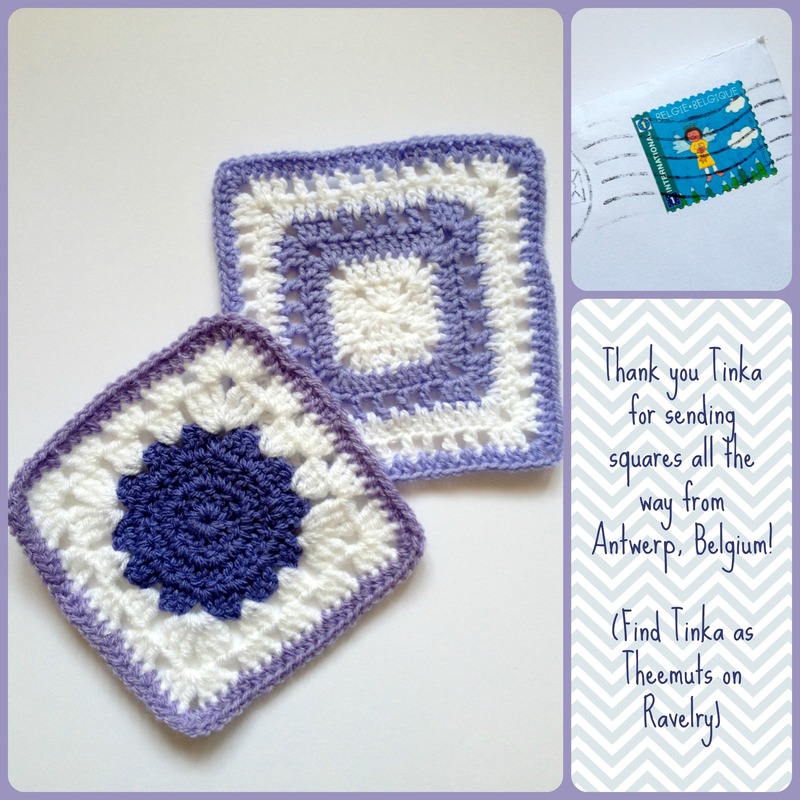 Thank you Tinka, they’re perfect: purple and white, 15 cm, in acrylic yarn and ends woven in. You’re a star! What a great idea. I have just registered for sending squares by mail. I was wondering about the e-mail I should get with the address – Was I supposed to receive it already? Because I cannot seem to find it. Thank you so much! I tweeted your blogpost as well.